how do i keep my kid away from phone he is more pr..
Hi Priya Jaiswal, Hope this blog below helps you..
Hi Rohini Gaikwad, Please do read this blog. It m..
Hi Roly Sehgal, I have written a handy blog on t..
my daughter is 4Years old. last year my husband p..
Hi Nitika Rana, i am so sorry for your loss.  you j..
My younger son is 5+ years old and very much influ..
Hi Neeru Gagan, Do read this blog, this may be..